After he said that, all I could do was laugh it off and look up the story online. Sure enough, Keith Roysdon and Doug Walker were telling a version of my case I hadn’t heard. Even my parents called to ask what happened. They had received a call from another family member wondering what happened. Personally, I had a hard time getting past the headline, “City, other defendants out of Tuhey lawsuit.”. The only defendant dropped from my lawsuit was the City of Muncie. They were released from the claim when I filed an amended complaint on February 21st. The same amended complaint added Steve Tomboni’s other company, America Multi-Sport. I’ll explain why below. My amended complaint also reinforced the motion to disqualify B. Joseph Davis, the lawyer for Tomboni’s two companies, because he is a major shareholder in both. He shouldn’t be able to defend his companies when they are being accused of misappropriating monies intended for a public swimming pool. To be honest, I’m perplexed why the judge is allowing Mr. Davis to proceed as counsel since he has an obvious conflict of interest. Maybe it’s because we’ve not had an actual hearing to discuss the facts of the case. All I’ve got to experience since I filed my lawsuit back in November was a judge recusing himself and one hearing for the defendants to dismiss the case. The judge granted their motions and gave me 30 days to file an amended complaint, which I did on February 21st. Keith should have asked the Mayor or me for the Memorandum of Understanding (MOU). The truth is, Mutual Bank dictated the terms to John Quirk, acting on behalf of the City, and would not lend the money until the wording in the contract and MOU guaranteed losses and provided EDIT funds for the loan’s repayment. In one of the defense motions, Joey Davis claimed that a personal guaranty was signed by Steve Tomboni so he was allowed to use the money however he’d like. That’s incorrect. 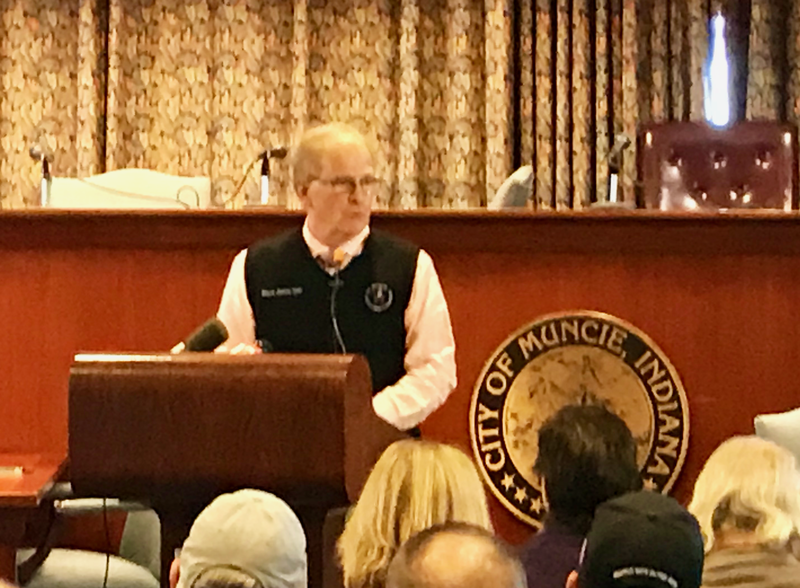 The bank had no intentions of lending money to an entity that was almost certainly going to lose money, and the City of Muncie was not providing free money to Tomboni to use as he wished. This is why MutualBank dictated what the contract/MOU stated, and why the City’s lawyer also protected taxpayers with specific verbiage. 16. Reporting: During the operating Season, WRA shall prepare and submit a monthly report to the City which outlines the specific programs offered, the days and hours of operation of the pool, the number of patrons and program participants and the income and expenses from the operation of Tuhey Pool. Reports for the previous month shall be furnished no later than the 7th working day of the following month. As an independent contractor acting as finance director, I was responsible for this requirement. It is hereby agreed that the City shall pledge up to $80,000.00 from its EDIT fund for the operational costs associated with Tuhey Pool. Said funds shall be used as collateral for existing line of credit held by White River Aquatics LLC. In the event that any money is needed from those pledged funds, White River Aquatic LLC shall, prior to requesting funds, provide the City with any and all requested documentation regarding said funds and the purpose of said funds. MutualBank knew what the MOU stated because their loan officer dictated the verbiage to John Quirk – no collateral, then no loan. Both the contract and MOU spell out the terms of this “public/private” partnership. It explicitly states what the line was to be used for – “operating Tuhey Pool.” I wasn’t an employee of White River Aquatics. I was an independent contract acting as finance director, so it was my responsibility to report to the City and to accurately account for taxpayer interests at the public swimming pool. Okay, now that you know the backdrop of the story – here is the crux of the problem. Over a few short weeks in late April and early May, the line of credit was advanced up to a total of $54,300, but only $5,500 was deposited into White River Aquatics checking account for payroll and startup costs. The remainder went directly into Tomboni’s America Multi-Sport business checking account, for which B. Joey Davis (lawyer writing motions to dismiss and threatening to sue) is a major shareholder. Based on the MOU and contract, these draws breached the contract with the City. Of course, that is my determination…a judge has yet to see the evidence. The problem was compounded because MutualBank allowed for these transactions. Don’t forget, they are the partner who demanded proper collateral to secure their loan. I have a reasonably good idea how they drove the MOU process since I was asked my opinion on numerous occasions. I’ve filed an FOIA request with the City this week to obtain copies of the actual correspondence. So, we have the bank who dictated the terms to the City allowing Tomboni to advance money from the Tuhey Pool line of credit and depositing the money directly into his America Multi-Sport account. This isn’t even sound accounting practice. Technically, by participating in this breach, they nullified their collateral for the line of credit. No EDIT funds, no loan repayment. I have no idea why the City of Muncie has not pursued actions. It might have something to do with a $60,000 Revolving Loan issued to America Multi-Sport by the City or the fact Tomboni’s company leases space in a building owned by the City of Muncie (former Rutter building). Or maybe they didn’t want more bad publicity with the FBI already breathing down their neck. Needless to say, my responsibilities as finance director were very clear. If asked to account for this money by the City, I could not certify the advances as being operational expenses of Tuhey Pool. I couldn’t even make an entry into our general ledger. I’ve got emails and texts demanding the monies be put back, but that didn’t happen. Therefore, after consulting with a lawyer, I resigned my position and notified city administration and the Treasurer for MutualBank. I was asked to come to City Hall and explain to Harvey Wright, Parks Superintendent, and Mayor Dennis Tyler, why I resigned. This happened on June 2, 2016. The City told me they would immediately request financial documents from White River Aquatics. The pool closed three months later in September. I hired a lawyer who sent a demand letter to Tomboni, but no response. I waited until late November before filing a legal complaint against all parties of the public-private partnership in small claims court for unpaid contractor pay. Because they breached the contract, I could no longer perform my duties. Making matters worse, as a result of my complaints and demands about returning the money, my access to the bank was cut off. I couldn’t even issue checks to vendors. After reviewing the documents from the filing an FOIA request with the City, I will respond to the defense lawyer’s motions and request the opportunity to begin discovery and naming witnesses. It won’t take much since the evidence speaks for itself – res ipsa loquitur.